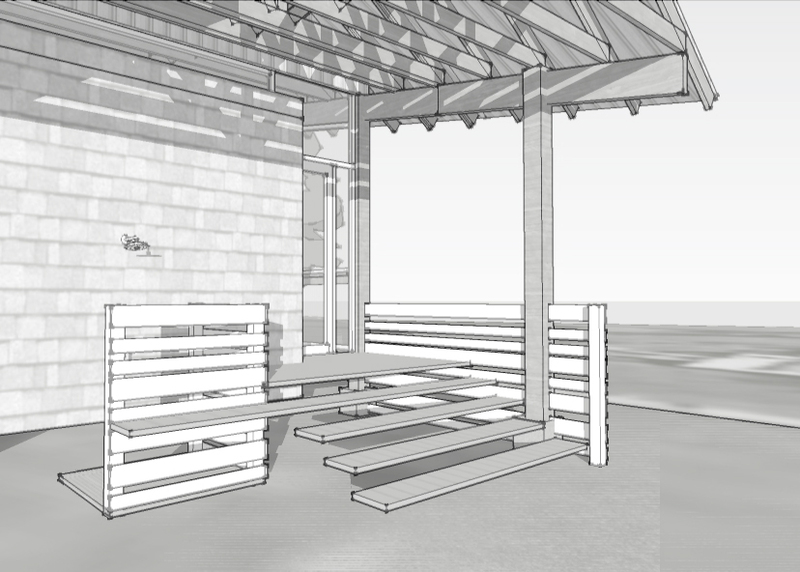 The BSL House is a beach house that blends screened porch and living room to create a large communal space open to the outdoors yet protected from the insects. The roof floats above two conditioned boxes: the first houses a kitchen and the second contains two bedrooms and two bathrooms. The top of the second box is occupiable, creating an open ‘kids loft’ for laying out sleeping bags and looking out over the living room. An outdoor shower by the front entry allows occupants to wash off the sand on their way in from the beach.